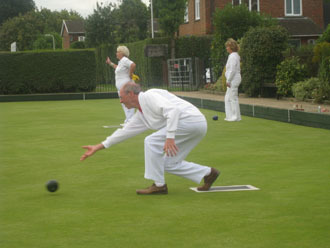 The Wargrave Bowling Club is situated in the Thameside village of Wargrave, which is between Henley-on-Thames and Twyford in the county of Berkshire. Our season starts towards the end of April and the 'green' is then open every day until mid September. 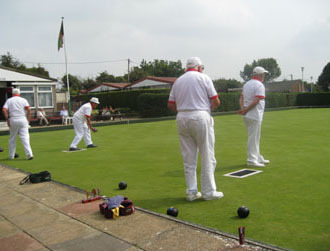 Mens, Ladies and Mixed "Friendly" matches with other Clubs take place throughout the season. The Club also enters teams in the Kennet League on a Tuesday evening and on a Friday Afternoon..
We have a team of volunteers who maintain the greens and all the facilities in the Clubhouse, which incidentally boasts a well stocked bar . 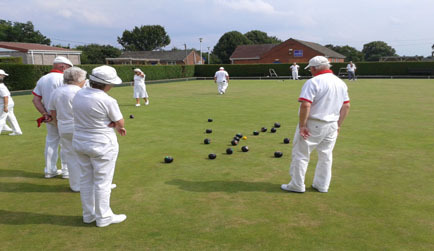 We actively encourage anybody to come along for some instruction and practice on any Monday evening after 6.00 pm between May and September. Our Club's open day is from 10 am on Sunday 19th May 2019. There will be refreshments, bar and coaching available. Everyone is welcome of any age. Dress casual. Wear flat soled shoes, like trainers. All match fixtures now on-line in the members area.